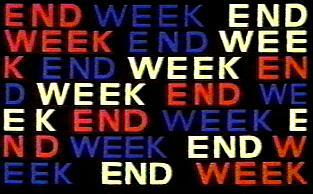 Godard's WEEKEND -- Noir, si, by far. Sellers portrays Hyrundi V. Bakshi, a very bad actor who stumbles onto good things as he stumbles through chaos. He is inadvertently invited to an important occasion -- the party. The results are hilarious. They are sight gags brought into epic proportion -- as in The Magic Christian. The film seems to anticipate the sweeping change -- revolution, rebellion, dropping out, turning on -- that would explode in 1968. A whole generation would react against war, against restraints on personal liberty, against the so-called fabric of society. This film was very timely and it remains so.